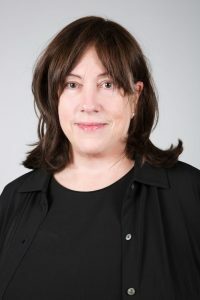 Marcia Kesner is a Licensed Professional Counselor and Licensed Mental Health Counselor with offices in Brooklyn, New York and the Upper West Side of Manhattan. Marcia trained in Texas and began her practice in Texas. She is a well-regarded and often recommended therapist to the community in New York. Marcia is a Nationally Certified Counselor, licensed in NY and Texas, and offers online therapy, phone sessions, as well as in-office meetings. Marcia has been counseling individuals, couples, and families for over 20 years. She is committed to helping you find hope and healing through therapy. Marcia welcomes you in a caring, accepting and non-judgmental environment. She will help you identify and work through the issues that may be preventing you from maximizing and enjoying your life. Marcia runs a successful private practice specializing in treatment-resistant, self-harming, and self-sabotaging behaviors and addictive disorders, as well as healing from the after-effects of trauma and abuse. Marcia has recently been incorporating more of an emphasis on shame resilience, vulnerability, and self-compassion into her work. Marcia has advanced training in Cognitive Behavioral Therapy (CBT) and Dialectical Behavior Therapy (DBT), as well as supportive psychotherapy. Marcia is also a contributor to the DSM-5 as a Collaborating Investigator. Contact Marcia today and get started on your path of hope and healing. Call now or just fill out the contact form and press Send.